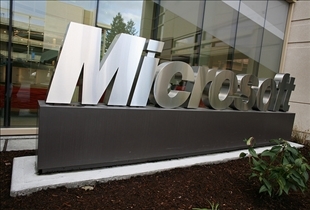 The Microsoft monopoly has been a subject of contention for many years, with many questioning the business practices of the multi-billion dollar giant. While much of the threat has proven to be unfounded–depending on who you believe, of course–another threat has since loomed on the horizon in the form of the perceived Google monopoly. Is the search engine giant indeed set to thread the same road as Microsoft or is this nothing more than just paranoid thinking? This comparison article should reveal a few interesting details. Google is a multinational public corporation based in the United States. The company is primarily involved in Internet search, cloud computing, and advertising technologies. The company has also developed as well as hosts a variety of Internet-based services and products. Much of the company’s revenue is generated by the AdWords advertising program. Microsoft is a public multinational corporation based in the United States. Its headquarters are located in Redmond, Washington, and the company is involved in the development, manufacture, and licensing of a wide array of products and services in the computer industry. 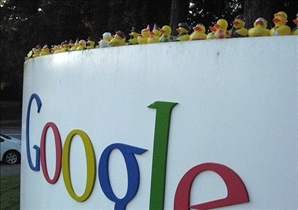 Numerous concerns have been voiced out with regard to Google's supposed monopoly. While monopolies aren't necessarily a bad thing, the prevailing fears are that Google's impending monopoly threatens to be even more dangerous and detrimental to consumer interests than the previous specter of the Microsoft monopoly. Many of the issues revolve around the potential threat of over information, and the corresponding increase in the potential for abuse. The Microsoft monopoly on the other hand dates back to the late 1990s, when numerous state and federal observers and analysts warned of the impending threat of the company becoming the sole toll keeper of the Internet. As with the Google monopoly, the fears revolved around the threat of too much information controlled by Microsoft, along with the tax and privacy concerns. At present, Google already functions as a sort of gatekeeper for information on the Internet. The company is after all heavily invested the business of information access, as well as trade in information related products and services. For critics of the looming Google monopoly, the danger lies in the eventual actions of Google that may lead to charging for search ranking. Early 2011 is known by many as the time when the power of Google was felt in full force. Google changed their search algorithm in the U.S. and impacted revenues for a great many American based website by making normally highly visible websites less visible by removing them from the first page of results. The number of companies affected isn't completely understood at present but a Wisconsin politician and several companies have begun legal proceedings against Google. The question is, when will Google roll out the same algorithm in other regions and how will that work out for Internet based businesses everywhere – and for Google? As for the Microsoft monopoly, much of the fears revolving around the issue have proven to be unfounded. While the company continues to retain a strong hold of the operating systems market, the prevalence of other operating systems negate its perceived status as a monopoly. Google changed their search algorithm and sent many Internet search based businesses into a tailspin. Compared to Microsoft, Google is the most dangerous monopoly. They can control everything, influence anybody with search(over 60% search market). This is neither good for America nor for Web ecosystem. compared to microsoft, google is the most reliable / very fast / day to day changes are very very appriciable. This is the good for entire world.